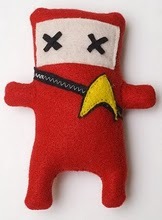 I've said it before, I'll say it plenty of times in the days to come: I loves the interweb! So many fascinating phenomena. Fer instance, The Troll - a person who exists on the internet to get some kind of rise out of a specific audience. I only came to realize what a troll was via the interent, but the truth is that Trolls have always existed. It's just much, much harder to pull off that BS in person than anonymously via the intertubes. Example: Socrates is one of the greatest trolls in history. There are many forms of trolls, and many techniques, but they usually all can be dealt with in one of two ways successfully: Ignore them, or mock them relentlessly. That's it. Any attempt to actually discuss, persuade, or even compel a troll will almost always meet with failure, and it is far, far, far more likely you are simply playing their game -- giving them what they want - by trying. So my very considered and wise advice is: Don't feed the trolls! The Concern Troll is a type, a very interesting type in our new media age. 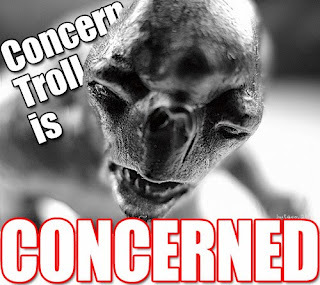 The Concern Troll has actually gone mainstream and there are many occupying global media positions. Example: Almost anything you read from Karl Rove these days are examples of a Concern Troll in action. He'll write some Op-Ed for the WSJ warning the Democrats not to get caught up in this healthcare debate lest they lose congressional seats in 2010 - HEAVEN FORFEND! You know Karl would hate to see that, right? Thus, a Concern Troll: A troll who's main technique is to employ insincere concern for the group he's actually targeting. Was Jesus more like a Vampire or a Zombie? Thar's Water In Those Thar Hills!